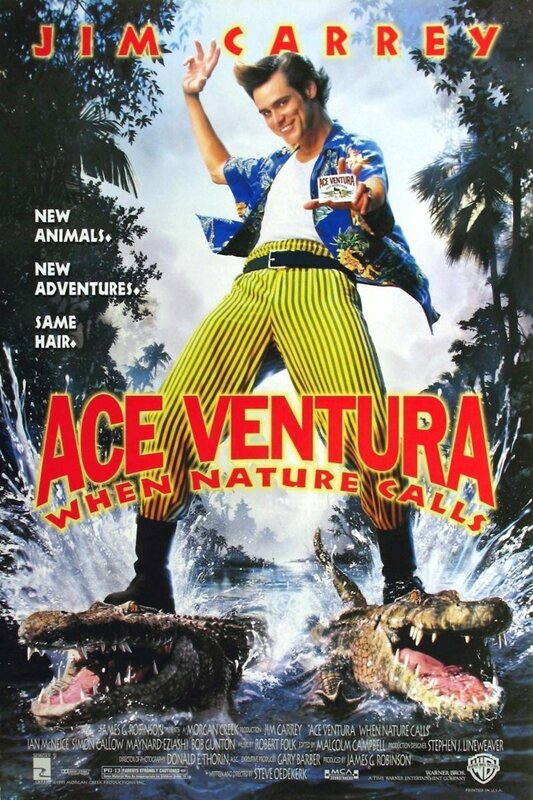 After an attempt to rescue a raccoon goes wrong, Ace Ventura decides to leave behind his past as a pet detective and instead become a Tibetan monk. This transformation is short-lived, though, when he is called back into action to retrieve a sacred white bat for an African tribe in Nibia. Now, Ace must navigate the troubling ties between African tribes, poachers, and diplomats in order to find the sacred bat and restore it to its rightful place. There's just one problem: the pet-loving detective is afraid of bats.